The 'Imagine' calendar is getting very full indeed . 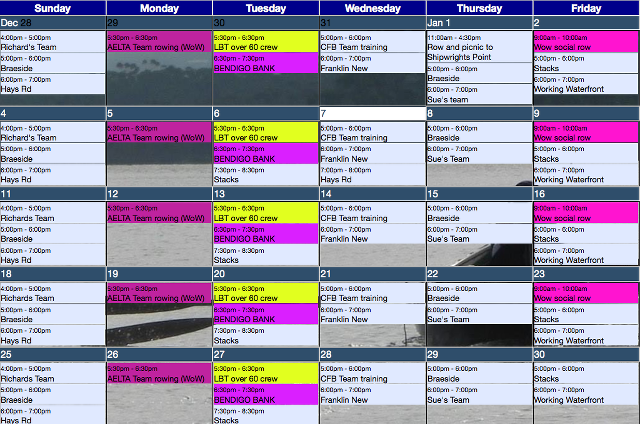 If your team needs to practice before the Regatta remember to make an online booking at http://bit.ly/14taZJi . This page is also accessible from the LBT calendar page.